Global business needs to urgently reassess the likely fallout of the Brexit negotiations and the prospects for Britain once it leaves the EU, analysts, insiders and negotiators told a Sydney conference this week. Chief-Exec.com’s Geoff Kitney had a ring-side seat. Britain faces a choice between a bad deal and a calamitous deal in the Brexit negotiations that will get under way in 10 days’ time, according to a range of analysts and insiders who have been briefing Australian business and community leaders. They warned that the rest of the world – especially countries like Australia with major trade and investment ties with the UK – needed to urgently reassess the likely fallout of the Brexit negotiations and the prospects for Britain once it leaves the European Union (EU). The warning came ahead of the United Kingdom election result – but has been reinforced by the failure of the May government to win a majority and by the impact this will have on the authority of the UK in the negotiations with the EU. In a series of discussions earlier this week in Sydney, European analysts outlined in eye-watering detail the complexities of the Brexit negotiating process and agreed almost unanimously that it will take a miracle for the UK to be ready to satisfactorily separate itself from the EU by the Article 50 deadline of September next year. This risk has been increased by the uncertainty that will now hang over UK politics both in the short term as the terms for the formation of a new government are worked through and, in the longer term, because of the doubt that now exists about what sort of Brexit deal the UK will want. Insiders involved in the Sydney discussions warned, in fact, that trying to force the pace of negotiations to complete Brexit within a two-year timetable could be highly destructive to the British economy and, to a lesser extent, to the EU. However, the overwhelming view of insiders was that by far the greatest weight of the problems facing the Brexit negotiations would fall on Britain. The clear message from Brussels-based officials was that Brexit would be an important item on the EU’s agenda but far from the most important. The election result reinforces this point because of the weakening of the new UK government’s authority. The Sydney briefings took place as part of the inaugural EU sponsored EU-Australia leadership forum, a three-day meeting of European and Australian political and business leaders, policy makers, think-tank analysts and academic researchers. Key aspects of the discussions were held under Chatham House rules, to allow frank conversations. But the generality of the discussions was not confidential. 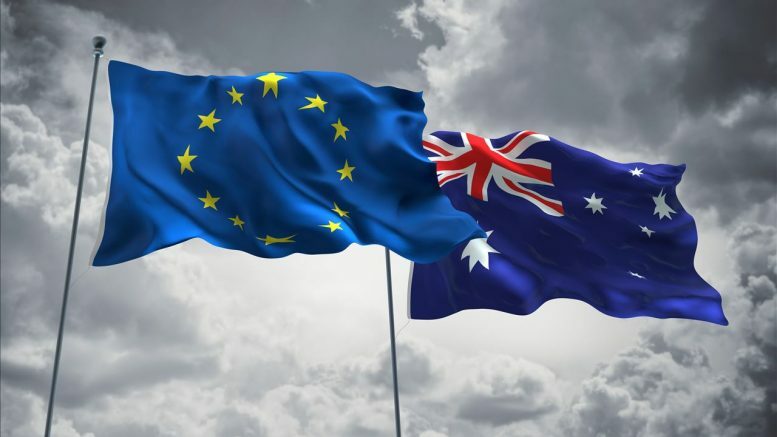 The conference was intended as a forum for discussion of bilateral issues between the EU and Australia ahead of the commencement later this year of full-scale negotiations for a comprehensive free-trade agreement (FTA). A scoping study for the FTA was completed in March. The gathering confirmed that the Australian Government will give priority to FTA negotiations with the EU, ahead of any similar negotiations with the United Kingdom. Despite calls from conservative Australian politicians for the government to put a UK FTA ahead of the EU, Australia’s finance minister Senator Mathias Cormann told the gathering that the government would give priority to the EU negotiations. Any negotiations with the UK could not commence until the Brexit process was completed. This was a significant statement because, until now, the UK has been holding out the possibility that it could start trade agreement talks with the so-called “Anglosphere” nations before the Brexit negotiations were completed. 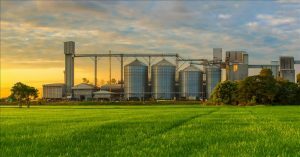 A key message to come out of the meetings was that the EU wants to significantly accelerate the FTA negotiating process, both for Australia and other major trading powers. There was a strong sense from the EU side that, because of Brexit and the Trump Presidency in the United States, European Union nations had to take up the mantle of international leadership, particularly on issues of trade and commerce. As one official put it “Brexit has focused EU minds on the need to be outward looking, especially on trade”. He said that the EU’s previously defensive mind-set on trade deals with countries like Australia had changed and he was now optimistic about the chances of a relatively smooth path to an agreement with Australia. A key point made on Brexit and trade policy was that the EU had a large, highly skilled and experienced team of trade negotiators and therefore the capacity to conduct simultaneous negotiations with Britain and with other countries, including Australia. Britain, on the other hand, faced a potential crisis of competency and capacity in its trade negotiating department. EU insiders said that this was potentially a problem for the speed of the Brexit negotiations as there was likely to be an imbalance between the UK and the EU’s negotiating strengths. A major dynamic of the Sydney conference was a limited understanding in the Australian business community about the dimensions of the Brexit challenge faced by the UK and the implications the Brexit process and its outcomes will have beyond Europe. While Australian businesses with UK-based operations have been pro-active in trying to assess how they might be directly impacted, some were clearly surprised at the potential challenges that Brexit will pose for their businesses. “My impression from talking to people here is, I think, that there has been a bit of a wait-and-see attitude for non-British businesses based in the UK,” one EU insider who asked not to be named told Chief-Exec.com. With the key message coming out of the Sydney discussions being that a trade agreement with Europe could be within reach sooner than had been imagined prior to the emergence of Brexit, European participants strongly urged Australia to redirect it’s traditional European focus from the UK to continental Europe. This ranged from looking for new trade and investment opportunities in EU countries as part of relocating operations from the UK to EU capitals, to urging a much more concerted effort in the Australian education system to teach European languages. While participants from the EU side rated as very minimal the possibility of the Brexit negotiations breaking down without a deal – an outcome they said would be calamitous for the UK – there was strong agreement that the deal that was likely to be reached would be messy and likely to lead to a long period of uncertainty for UK commerce and the overall economy. Scotland in the EU – the UK’s successor state?